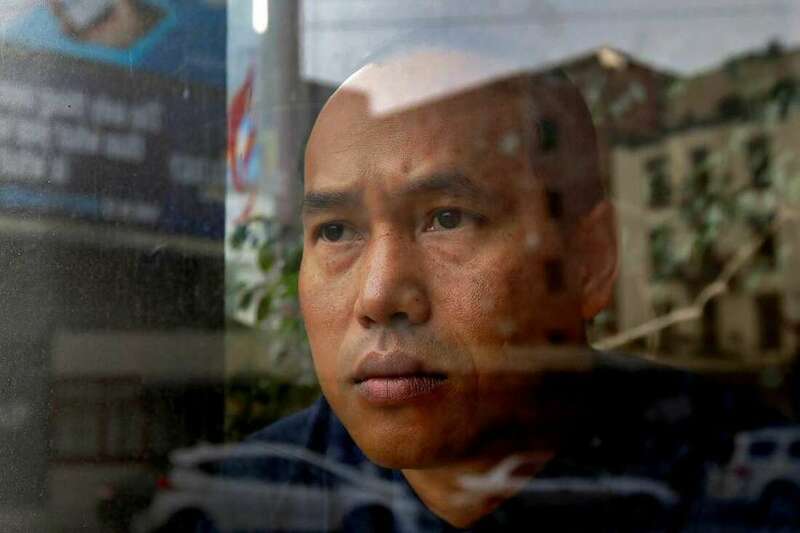 Second Cambodian deportee to return to U.S., giving hope to others seeking return. 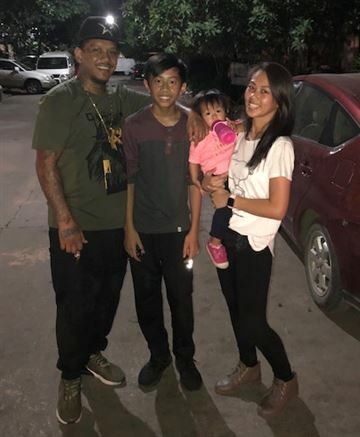 Five years after he was deported to Cambodia, Veasna Meth is expected to return home to California on Wednesday, becoming what advocates say will be the second Cambodian deportee to return to the United States. "I can't find any peace here"
Every day, Sothy Kum wakes up at 6:30 a.m. to talk to his wife and their 2-year-old daughter in Wisconsin, more than 8,000 miles away from his condo in Cambodia, where he's lived for the past nine months. It's 5:30 p.m. then in the Midwest, and Kum's wife is typically just leaving work. They stay on the line for three to five hours until their daughter's bedtime. ​Read more: "Home is Here"
4) Be wary of unusual cars lurking on your block. ICE uses unmarked American cars. Sometimes instead of knocking, ICE waits for people to leave for work to arrest them. Unless the courts intervene, 37-year-old Borey Ai will probably be taken from his San Francisco home soon and deported to Cambodia, a country he has never seen, for a murder he committed when he was 14. 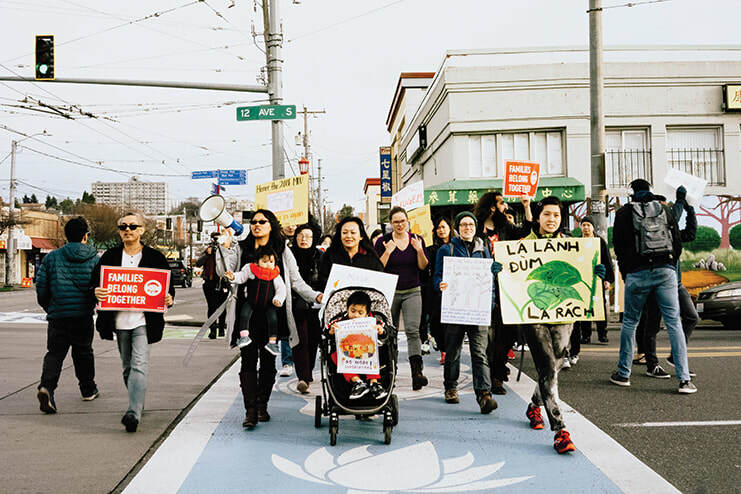 Ai is one of hundreds of Southeast Asian immigrants with criminal records who face deportation by the Trump administration, which has imposed or threatened foreign governments with financial punishment for refusing to accept them. But the immediate cause of Ai’s impending removal is an unexplained ruling by the California Supreme Court blocking outgoing Gov. Jerry Brown’s request for the man’s pardon. via the International Examiner | KhAGG celebrates the release of Thuoy Phok and Roeth An. Photo by Bunthay Cheam. As we cherish our loved ones this holiday season, 36 Khmer Americans will be oceans apart from their families in a place most have never been before. Roughly a week before Christmas, these community members were packed on an Omni Air International flight to Cambodia. 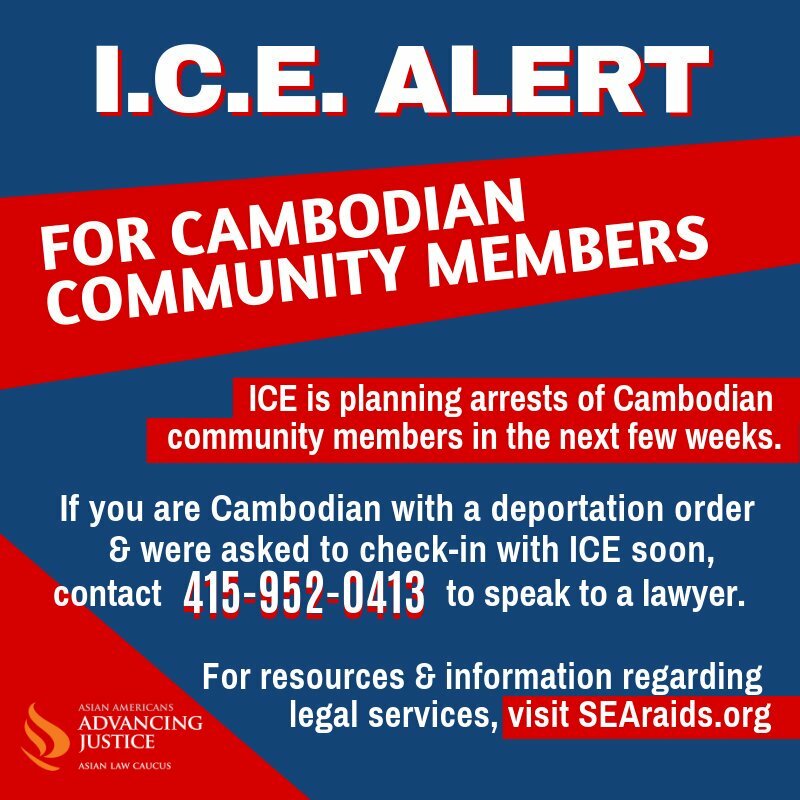 The 36 Khmer Americans were part of a late summer wave of raids by ICE into our communities, which included the seizure of seven Khmer Americans (knows as the Washington 7, or WA7) from the Seattle-Tacoma area. Khmer Americans are one of the most vulnerable refugee communities in the U.S. and have endured a continuous cycle of displacement and re-displacement; U.S. bombings, a genocide, an ensuing refugee wave — and now deportation. Cambodians are being deported from the U.S. at record numbers, including many who have been living in the U.S. for decades after fleeing war, U.S. bombings and genocide under the Khmer Rouge. On Monday, an Omni Air flight departed from El Paso, Texas, with 36 Cambodians on board. They were deported to the Cambodian capital Phnom Penh. Attorneys believe it to be one of the largest deportation flights to Cambodia yet under the Trump administration. We speak with Kevin Lo, staff attorney in the Immigrant Rights Program at Asian Americans Advancing Justice–Asian Law Caucus. He has been working with Cambodians living in the U.S. who are facing deportation. 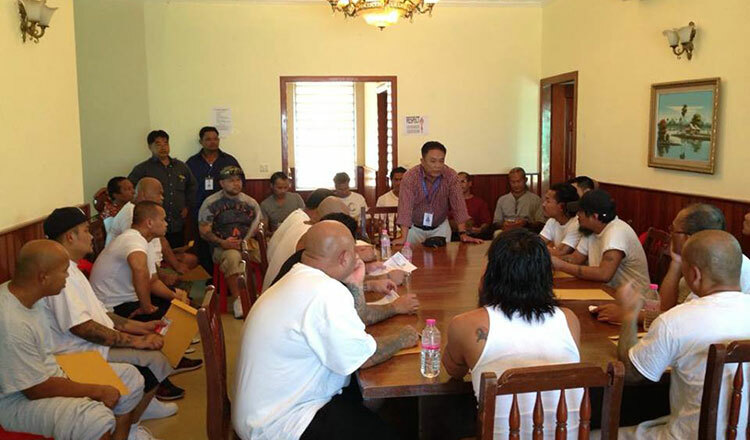 A flight chartered by U.S. Immigration and Customs Enforcement is said to have departed Monday from El Paso, Texas, carrying about three dozen Cambodian immigrants who came to the U.S. legally, but were ordered deported for having committed a crime.